Here you have a new memory leak for beta 4. It happened after using the SoundCloud plugin. 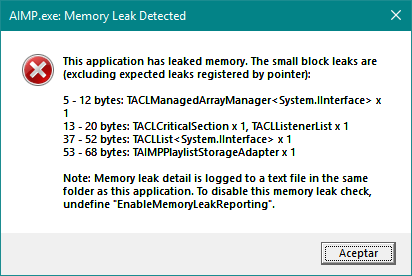 By the way, where the heck is the textfile with memory leak's details?! I looked at C:\Program Files (x86)\AIMP and there's nothing. Thanks a lot! I am attaching it here.